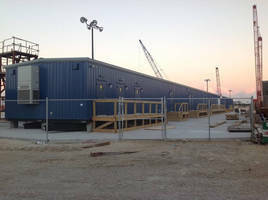 Anchor Modular Buildings recently completed a project for the Grand Bahama Shipyard (GBSY) in Freeport, Grand Bahama Island. 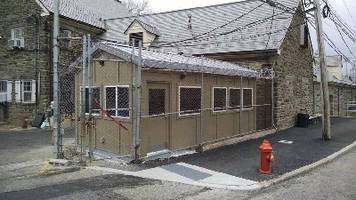 GBSY had an urgent need for 4,000 square feet of office space to accommodate one of their major clients. Anchor Modular Buildings was able to design, fabricate, deliver (overseas) and assemble the office space in less than eight weeks, start to finish. 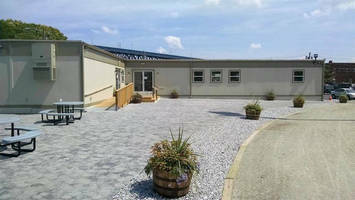 Established in 2002, Anchor Modular Buildings is headquartered in Southeastern Pennsylvania with manufacturing capabilities and experienced installation crews all over the country. 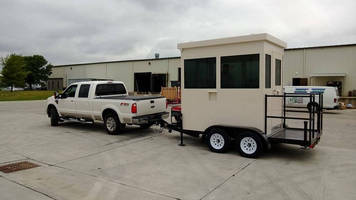 Serving the US and the Caribbean, Anchor Modular Buildings offers a broad array of modular building solutions to meet the needs of a variety of businesses in industries such as construction, manufacturing, chemical, petroleum, military, transportation, security, education, non-profit and more. Grand Bahama Shipyard, based in Freeport, Grand Bahama Island, is one of the largest ship repair companies in the region with three floating docks for the dry-docking and repair of all types of oceangoing vessels, and all the necessary support services required to perform complex repair, upgrade and conversion projects.